Welcome to the Town of Fayette, Maine - Welcome! 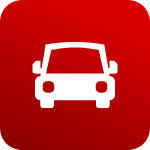 Click the button to re-register your motor vehicle/trailer online! Click here to pay Real Estate taxes online! We currently accept VISA, MasterCard, Discover, and American Express cards. All Credit cards will be charged a 2.75% processing fee per transaction with a minimum charge of $1.95. ***NOTE: WHEN ENTERING YOUR ACCOUNT NUMBER DROP ALL ZEROS AT THE BEGINING AND LEAVE OUT THE RE AT THE END. Click on the buttons below for online renewal services for hunting, fishing, boats, ATV's, and snowmobiles. Settled as Sterling Plantation in 1781, Fayette was incorporated February 28, 1795. A beautiful, small town community with a population of 1,110 as of the 2010 census. With our neighbor helping neighbor attitude Fayette is a wonderful place to call home or visit. Police or County Sheriff's office at (207) 624-7076.